Private investigator Liberty Lane's latest case takes her to rural Gloucestershire to uncover the truth of a brutal murder. July, 1840. Did young Jack Picton, a known rebel and political agitator, kill governess Mary Marsh? Liberty Lane has left London for Cheltenham to find out, sharing the magistrate's doubts. He is, however, hiding something ...but what? As Liberty is about to discover, behind Cheltenham's genteel facade lies a hotbed of vice. It is a place where the poor are driven to desperate lengths to escape the horror of the workhouse. A place which is harbouring a ruthless killer. Can Liberty uncover the truth in time? "The sixth in this highly enjoyable series (Keeping Bad Company, 2012, etc.) adds social commentary to a rich broth of historical tidbits and an excellent mystery." "The author has put a lot of work into laying the groundwork for the denouement, which will satisfy classic whodunit fans"
"The sixth in this highly enjoyable series adds social commentary to a rich broth of historical tidbits and an excellent mystery." 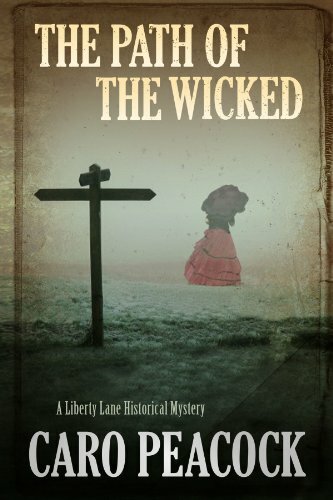 "Historical-mystery fans will enjoy this colorful adventure set in the nineteenth-century British countryside"
Caro Peacock, who has written five previous Liberty Lane novels, is a pseudonym of Gillian Linscott the award-winning author of numerous crime novels, including the Nell Bray series. She lives near the Welsh borders.